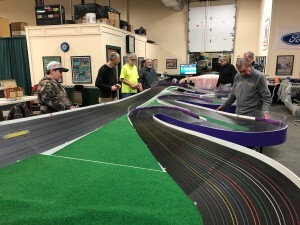 With 23 racers in the house, Peter Lentros’ LenJet Raceway was rocking on January 13th for the 5th event of the MARC season. 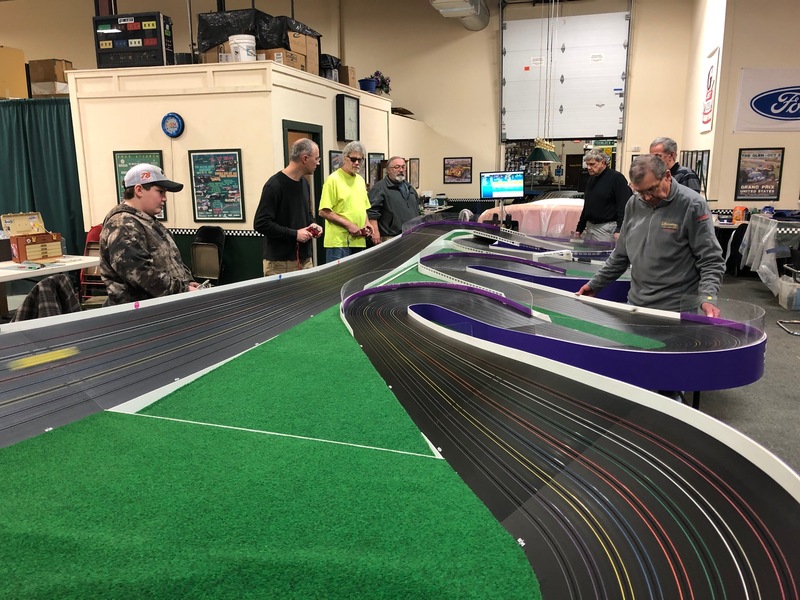 We had a few folks making their first appearance of the season including John Pileggi, Dan Decosmo, Benny Leyro, Mike Resnick and Greg Burstein as well as Cody Pare making his first ever MARC event. Racing at LenJet does tend to bring out the crowd. 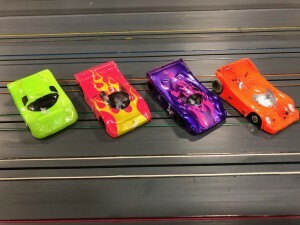 First up were Spec Racers on the Purple Mile with both the Pros and Sportsman competing together in one large 23 heat round robin. 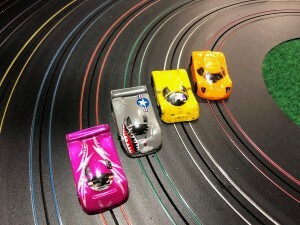 Spec Racers on this track have always been a MARC favorite, the rhythm and out right speed are addictive. At the conclusion of the 3 hour episode, Ryan Archambault once again proved his mastery of building fast cars by taking the top three finishing position – Greg Burstein in first, Ryan in second and Dan Decosmo in third. 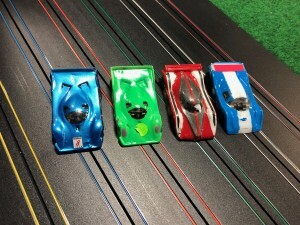 John Pileggi and John Reimels finished 4th and 5th respectively but well off the pace of the cars from the Archambault stable. 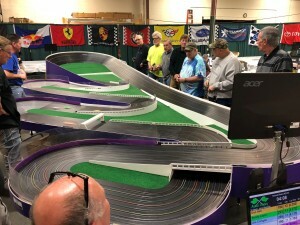 Finishing a very respectable 8th overall and the top spot for the Sportsman division was Paul Crosby followed by Sportsman Jim Colligan is 2nd, Terry Ayer in 3rd and Hal Pierce in 4th. habit of this winning 60% of the events held thus far this season. If he continues this pace, he’ll be joining the Pro ranks next year. Following in second was newbie Cody Pare, a local youngster with some 1/24 scale experience at Modelville but this weekend was his first attempt at racing HO cars – not bad! If I were Paul Crosby, I’d be getting nervous if Cody choses to stay with HO… Coming home third thru fifth were Hal Peirce, Jimmy Colligan and Terry Ayer all finishing on the same lap (less than one fall-off…); that’s close racing. Thanks go to Peter Lentros for hosting the event – racing at LenJet is always fun. Peter will also be hosting our next event on February 9th where we’ll be racing F1 G-Jets followed by Modifieds for the Sportsman and CMPM for the Pros.